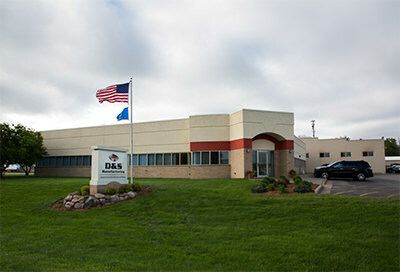 D&S Manufacturing was established in 1965 when James Dougherty purchased a local welding and repair shop. Today, under the guidance of our president Michael Dougherty, our business has grown to a 150,000 square foot custom metal fabrication manufacturing facility employing over 160 people . 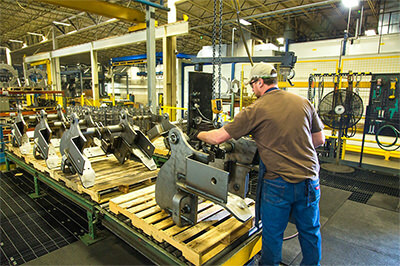 We provide custom metal fabrications to original equipment manufacturers of construction, agricultural, and railroad equipment, commercial air conditioning systems, military vehicles, wastewater treatment equipment and more. Our comprehensive services include high definition plasma, oxy-fuel, and laser cutting, rolling, forming, CNC machining, milling, and manual and robotic welding. In-house secondary services include shot blasting, wet spray painting and powder coating and assembly. Our employee owners are committed to outstanding quality and maintain a virtually 100% external part acceptance rate. We are very proud of our highly experienced workforce. On Average, our employees have over 13 years of service and over 8 percent of our staff has over 30 years experience at D&S! . Our employee owners consistently display an exceptional work ethic and maintain business relationships based on honesty, respect, teamwork and continuous improvement. "I want to personally thank you for providing this kind of follow up. Not a lot of vendors would go to this length after missing a shipping window by 1 day. I also appreciate your flexibility on the very large order that is supposed to close this week. These are just a couple examples of D&S’ great customer service we continue to see. That, in combination with your great product, is why you guys will continue to be a great partner vendor for us."